Jonathan Robinson, Chairman of Afilias' Board of Directors, receives ICANN 2014 Leadership Award for his contributions to the effectiveness of ICANN's multistakeholder model.Global registry services provider Afilias congratulates Jonathan Robinson, Chairman of Afilias' Board of Directors, for receiving the Internet Corporation for Assigned Names and Numbers (ICANN) 2014 Leadership Award for his contributions to the effectiveness of ICANN's multistakeholder model. According to ICANN: "Jonathan received the award in recognition of his devotion to the multistakeholder model, his extraordinary generosity of time, energy, knowledge and expertise, friendship and leadership, and his collegial leadership style that has increased civility and effectiveness within the community." As Chair of the Generic Names Supporting Organization (GNSO) Council, ICANN's policy body, since 2012, Robinson has strengthened collaborative work within the council and with other ICANN bodies. His commitment to fostering communication among ICANN's diverse participants is critical to the ICANN's effective functioning and development as a multistakeholder organization. His many efforts, such as the initiation of the first induction and development session for the GNSO Council, have enabled involvement and early success of many ICANN leaders. "I am honored to receive the award," said Robinson at the award presentation ceremony at the 51st ICANN meeting in Los Angeles. "We are at the dawn of a new internet era as the launch of an unprecedented number of new generic top-level domains has just begun. This will impact practically everyone in the Internet ecosystem. It is, therefore, my privilege to have a leadership role to play in encouraging the vital collaboration necessary for the successful functioning of ICANN's multistakeholder model." "Jonathan has been both a friend and valued advisor to Afilias since its founding" said Hal Lubsen, President and CEO of Afilias. "The domain industry is going through an exciting time of change, and we are proud to see Jonathan recognized for leadership, effectiveness and contributions to the multistakeholder model we rely upon for stewardship of the unified global Internet." Robinson has extensive executive and non-executive experience in the domain name industry over many years. He was a founder of NetBenefit in 1995, a supplier of domain name management and associated services, which was admitted to AIM in June 1999. 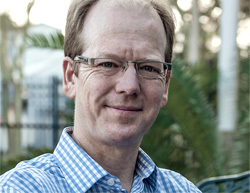 Jonathan served as a main board director at NetBenefit from 1999 to 2009. Having served as a director of Afilias since 2001, Robinson was appointed Chairman in 2014. Local Time: Friday, April 19, 2019 11:42 PM PDT – Page Load: 0.2725 Sec.